As we left Agrigento and headed to our first wine tasting at Occhipinti the sun was not shining, in fact it was our first, and not our last, day of rain. That did not dampen our spirits. Arianna Occhipinti, the owner, has worked in the wine industry since the age of 16 and by age 22 started labeling her own wines. She is known for her SP68 red wine which is a blend of two varieties. We had the pleasure to taste both her white and red wines. 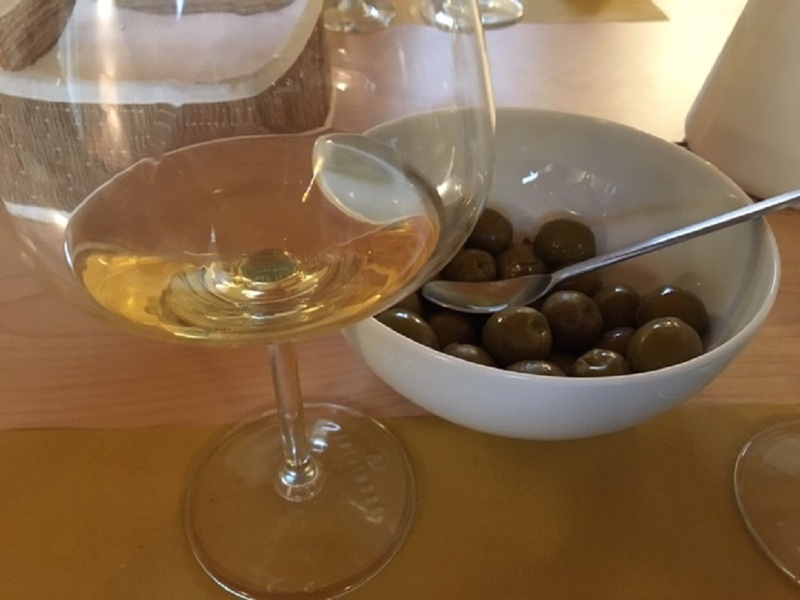 You might want to try to buy some of her wines which are available in the states at select wine stores..
After our delightful tasting we headed east to Siracusa and our new resort hotel: Grand Hotel Minareta for the next two nights. We arrived and it was still raining but not enough to stop us from exploring this seaside resort. Our view was overlooking the waters. Siracusa at night was splendid. 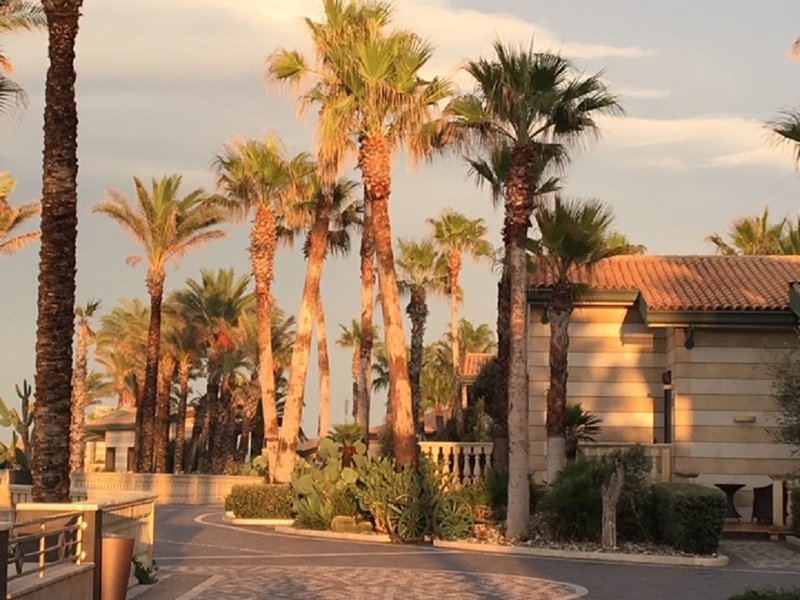 This resort offered us a rocky beach, a jacuzzi terrace, pool, a spa and beautiful gardens among the 77 rooms which offer terraces so one can watch the sunsets in the evenings. You can venture into town or dine at the resort. What more could one expect, but maybe some sunshine. Our first morning began with a tour of the archeological park. We waiting in the market area for the downpour to stop and when it did we walked the short distance to the park. Within the park is a Greek Theatre, a deep quarry called the Latomia del Pariadso and a huge cave called the Ear of Dionysius ( in Italian it is Orecchio de Dionisio). 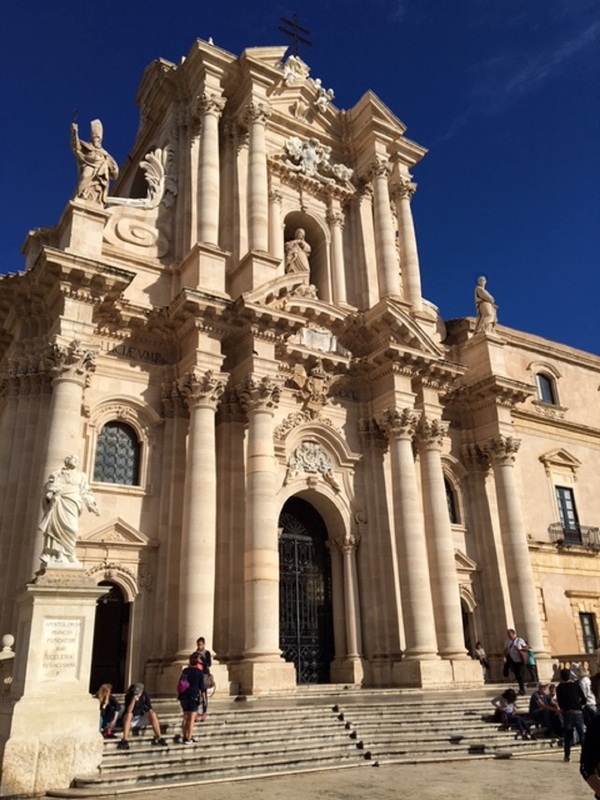 There was more to see but we decided to head to Noto to explore this Baroque town and come back to Siracusa later in the afternoon to visit the cathedral. The beautify in this town is in the golden colored stone buildings with wonderful facades and fancy balconies. Here is where I took everyone for an arancini tasting and then on to Café Sicilia for the best gelato tasting ever. We were delighted to meet Corrado Assenza the owner who has appeared on Chef’s table episode 2. I encourage you to watch it! I brought my group to Sicily at the end of September for an eight-day journey around the island. Since my return I have asked myself, what took me so long to discover this wonderful island? 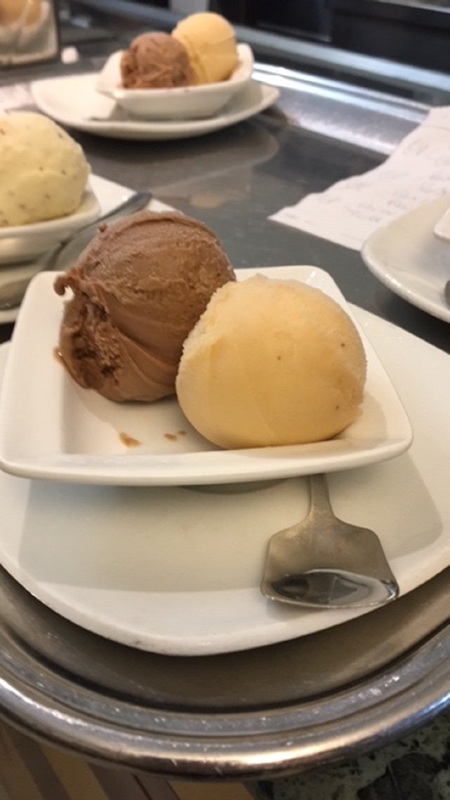 We began our stay in Palermo. 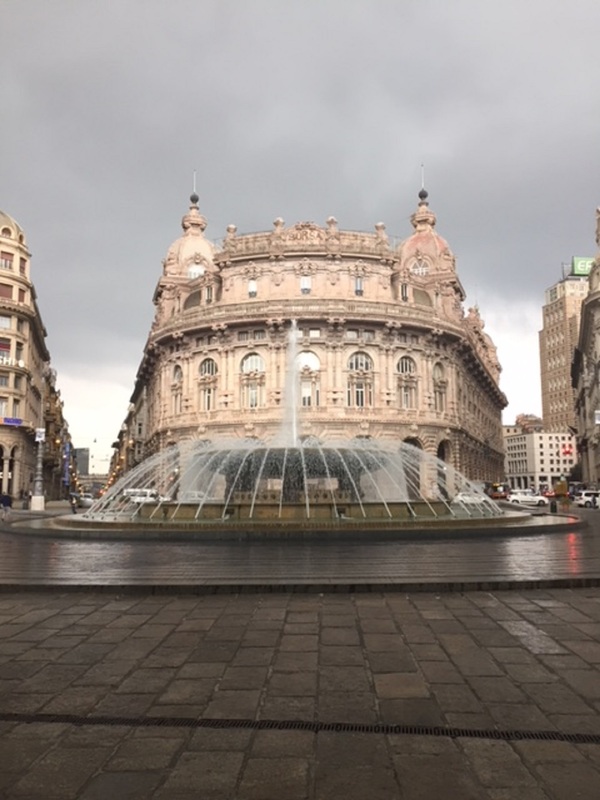 Upon our arrival we visited the Opera House and the Palermo Cathedral. On your walk our guide brought us to a famous pastry shop in the middle of town to sample their cannoli. Nothing like what I have tasted here. Much more creamy and just the right amount of sweetness! 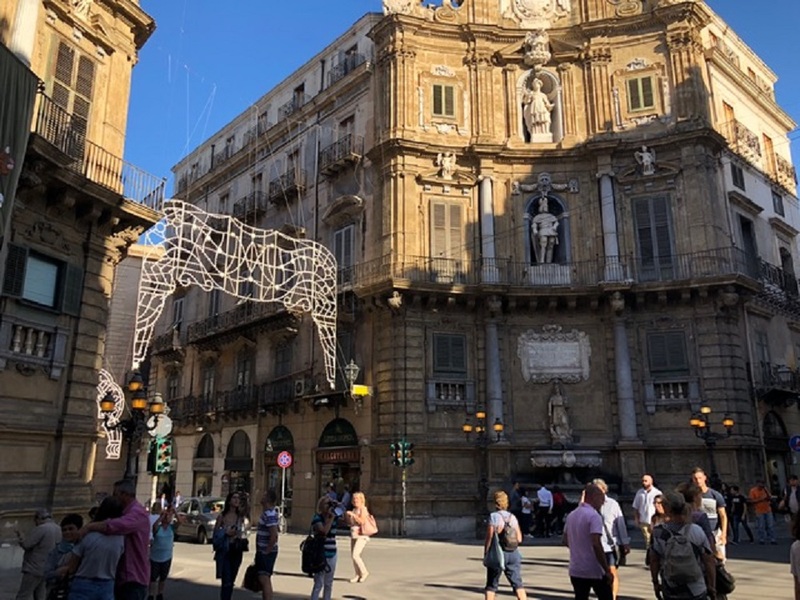 Palermo is full of history and the architecture, especially in the Quatrro Canti area, is very fascinating, not to mention the ruins from WW II are still in existence throughout the city. Our hotel was centrally located so if anyone desired to venture on their own it was very easy to do. 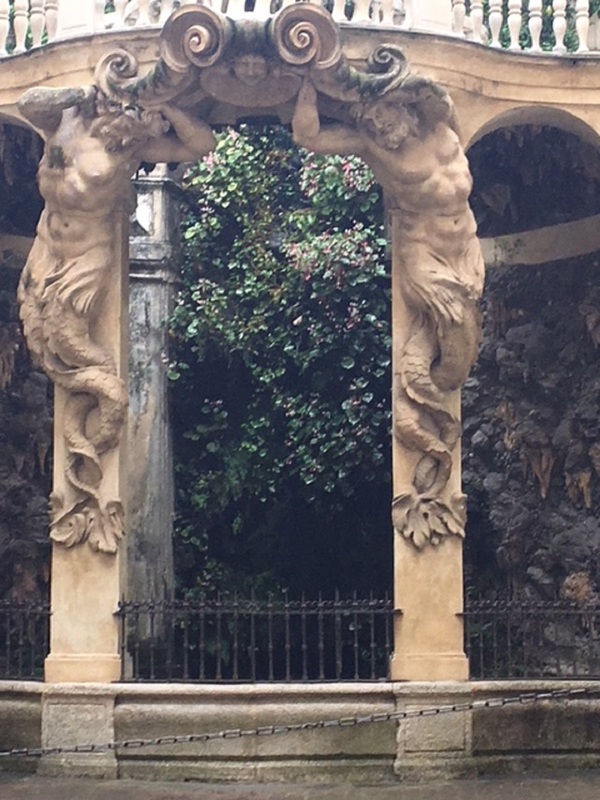 The next morning, we took the private bus to Monreale, a hill town just outside of Palermo. Monreale sits high above a valley where they grow almonds, oranges, and olive trees. We took the time to wander the streets and alley ways and took in the views from above. The cathedral in the center of town is aglow with mosaics inside and out. Just beautiful! 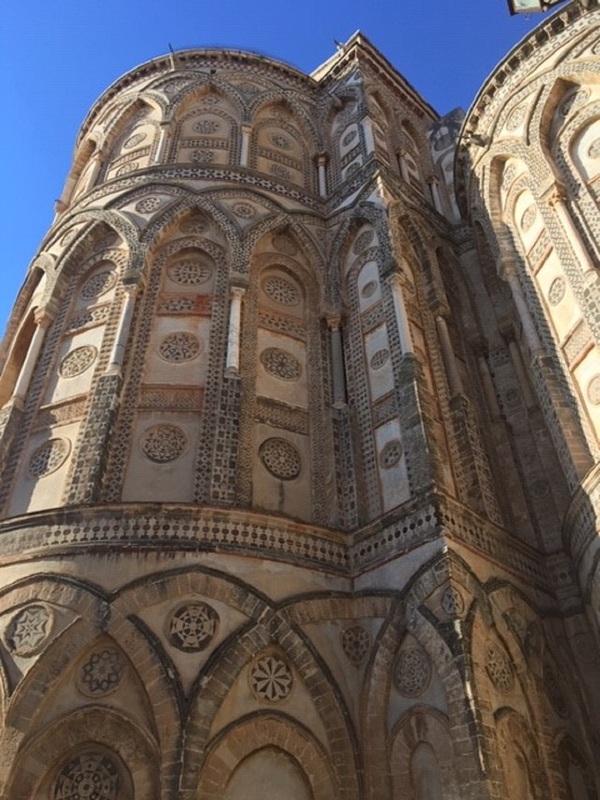 After our time in Monreale and brief respite where everyone enjoyed an espresso or cappuccino we boarded the bus for Cefalu’. 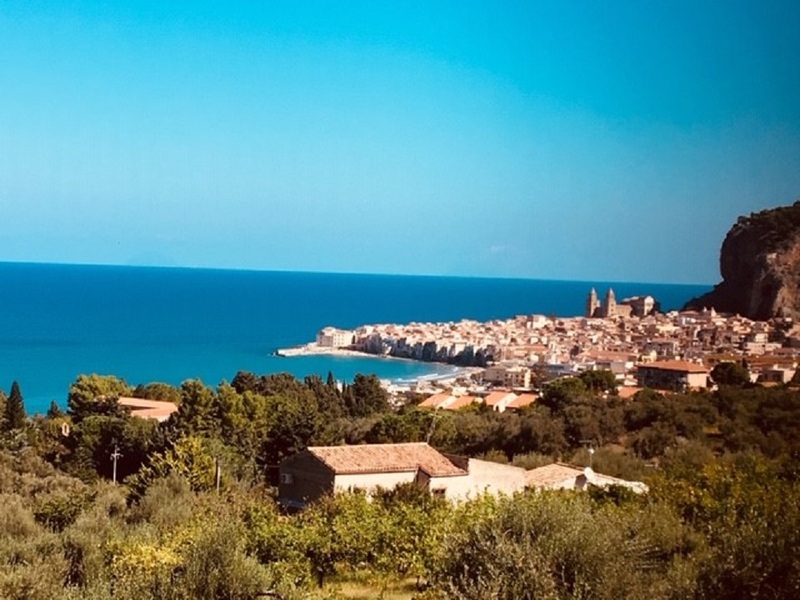 As we were approaching Cefalu’ by bus we marveled at the blue Mediterranean waters. Cefalu’ is east of Palermo and it is known for its sandy beaches. We stopped for lunch by the water’s edge and some took the time to dip our feet into the Mediterranean waters. 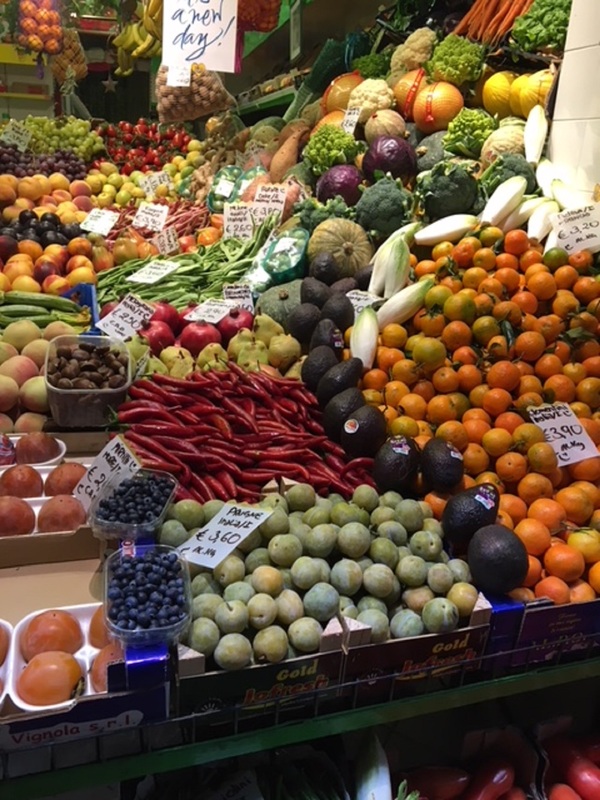 As we strolled the streets and visited the glorious cathedral with our guide, many of us could not resist boosting the Sicilian economy with our purchases at the lovely boutiques. It’s picturesque charm and inviting beaches could encourage one to spend a few days here to enjoy the simple life. After two nights we boarded the bus for our 2.5 hour drive south to meet our guide, Lorenzo, at the Valley of the Temples in Agrigento. Lorenzo greeted us as we exited the bus. He was full of enthusiasm and energy and proved to be an excellent guide. We toured the area for two plus hours with a brief break to keep us refreshed as it was a hot day in Agrigento! These temples date back to the fifth and sixth centuries and Lorenzo put everything into perspective for us. It is well worth the stop even for just one night. After the tour we went straight to our hotel: Villa Athena, a gem not far from the ruins. Here we relaxed by the pool and sipped our Aperol spritzers. That evening we dined at the outside restaurant of the hotel under the stars and the temples in the distance. Does not get any better!